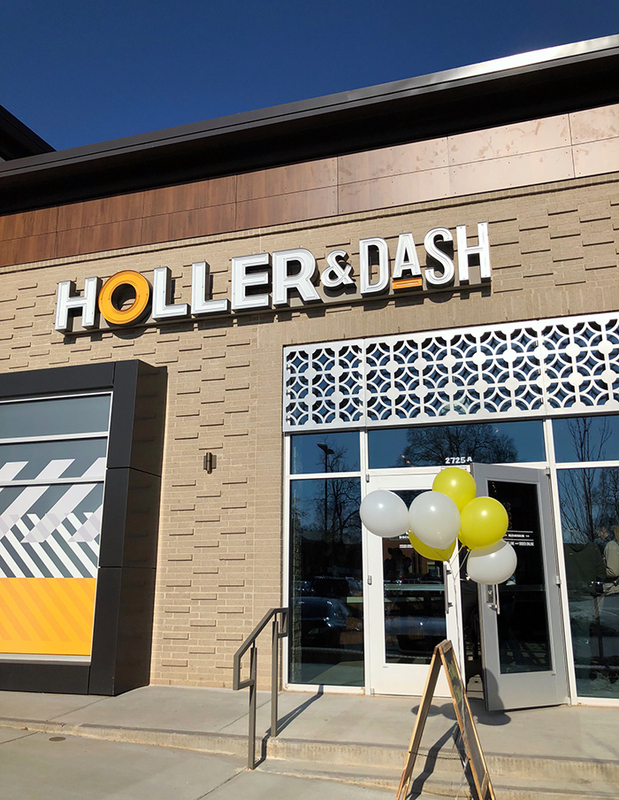 Holler & Dash, described as “Cracker Barrel for Millennials,” is now open in South End near the Harris Teeter. 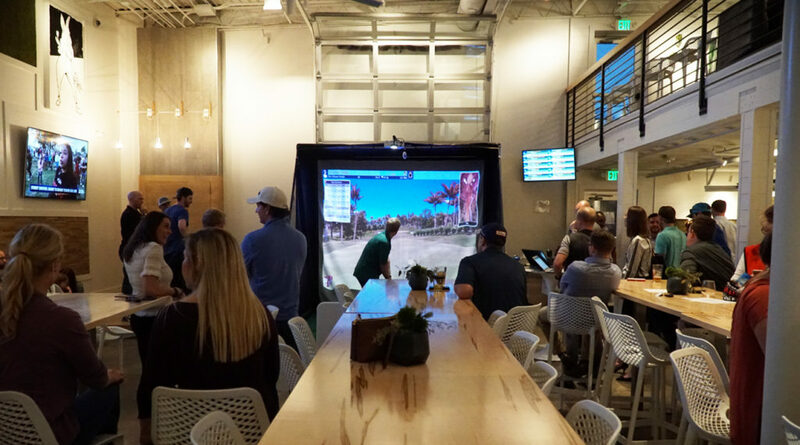 This is the seventh Holler & Dash location. Hours are 7 a.m. – 2 p.m. and they serve breakfast, brunch and lunch every day. 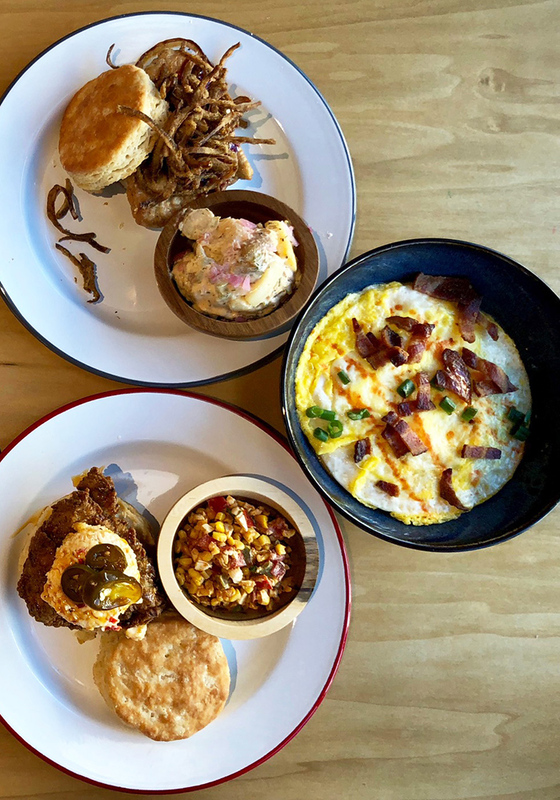 I went to Holler & Dash yesterday morning and ordered $57 worth of food and photographed it like a basic millennial. Here are 7 things you need to know. Service was impressive. They clearly over-hired and this isn’t their first opening. Everything was smooth. 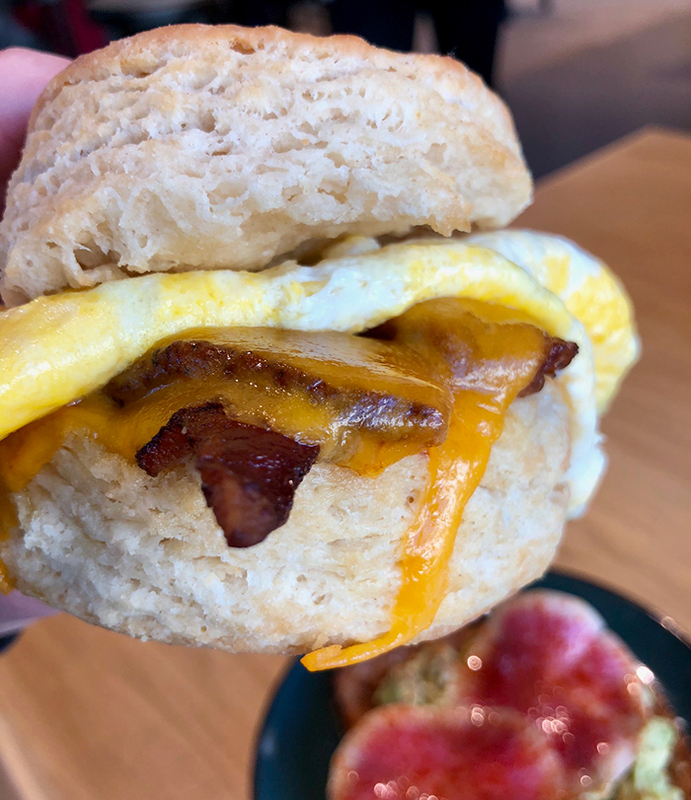 (1) Don’t be boring and order the bacon, egg and cheese biscuit. It’s absolutely worth venturing out. 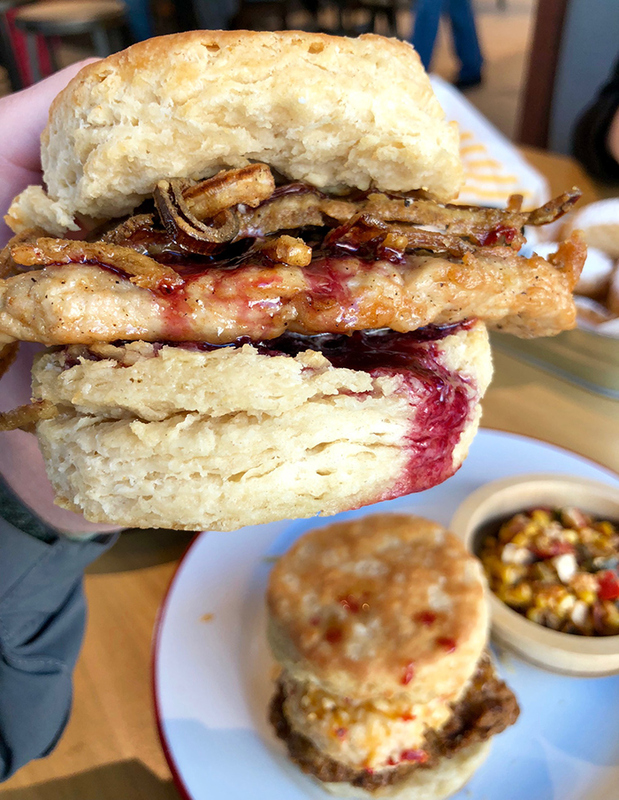 I’m a huge BEC guy, but with Holler & Dash, I strongly recommend one of their two popular signature biscuits, the Kickback Chicken or the Chicken.Set.Go. Not as tasty as the other two above, but if you’re a pork person, go with their Pork Rambler. 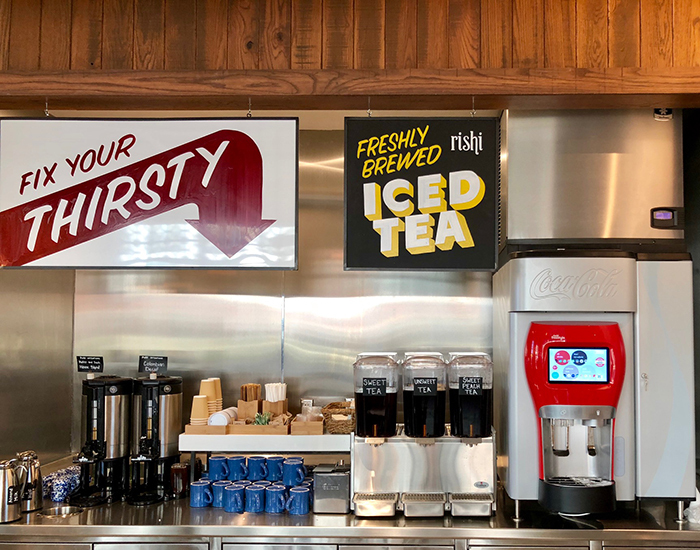 (2) Drinks are serve-yourself, which for coffee lovers and tea lovers means that you’ll never be waiting for a refill. 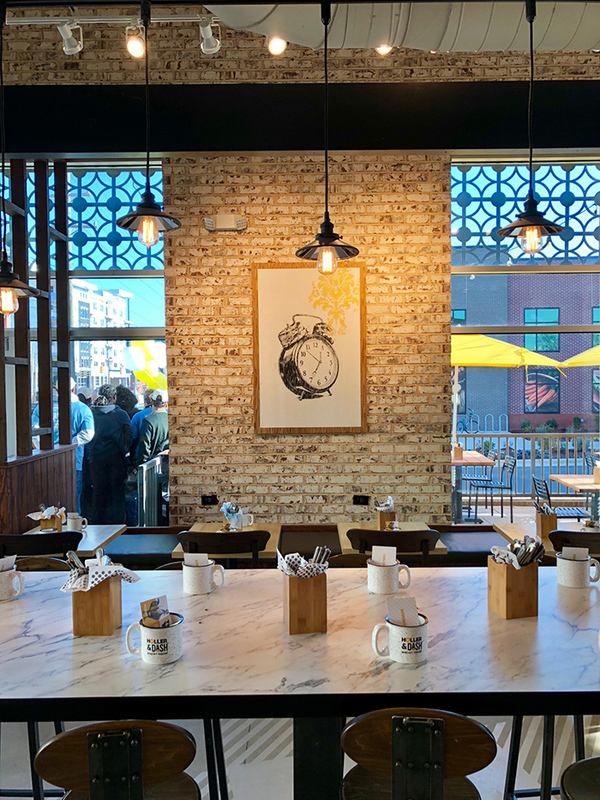 Holler & Dash is a fast-casual concept, which means you order at the counter, grab a number and take a seat. I like the sturdy blue coffee cups. (3) Avoid the avocado toast, it’s just too fancy. Don’t order Avocado Toast from a biscuit place. If you’re going to get avocado toast, go to Not Just Coffee. 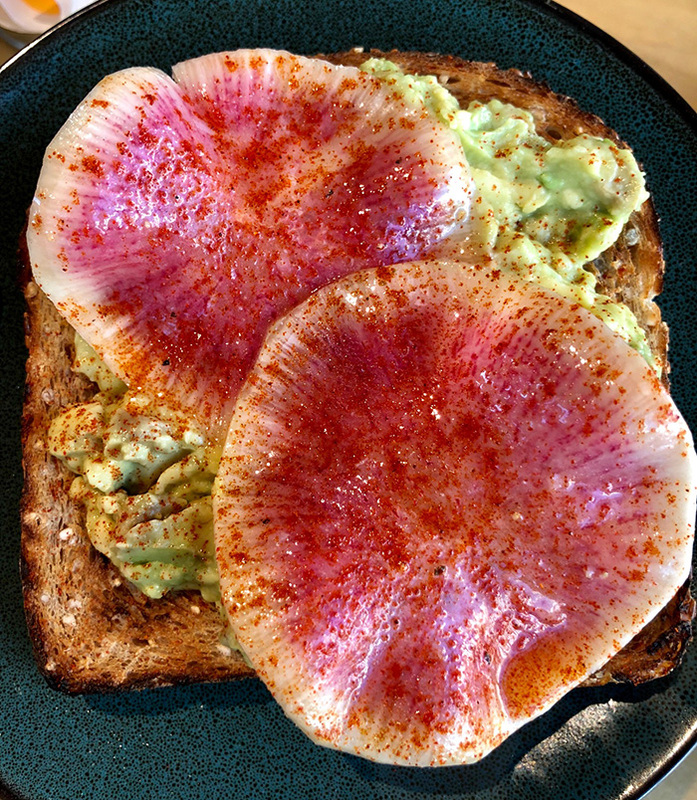 NJC’s avocado toast is much, much better. 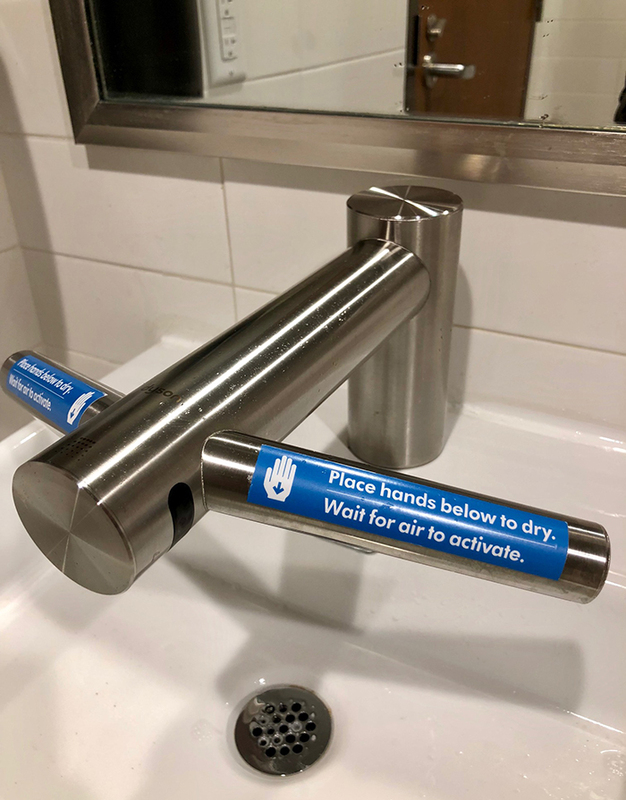 (4) The restroom hand dryers are space-age. I’ve never seen this technology, have you? Technology breakthrough – water and drying from the same thing. 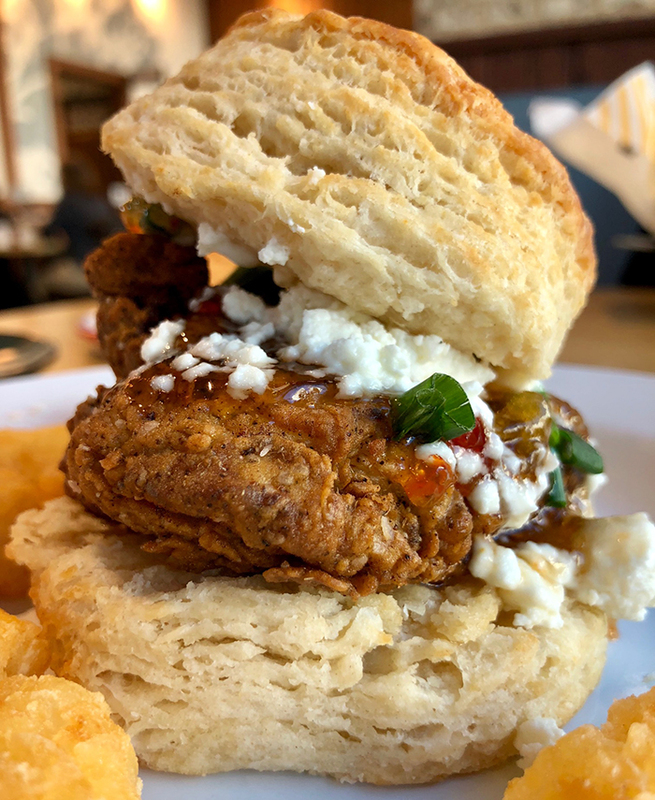 (5) If you want a fried egg on your signature biscuit, don’t forget to say so and it’ll run you an extra $1. 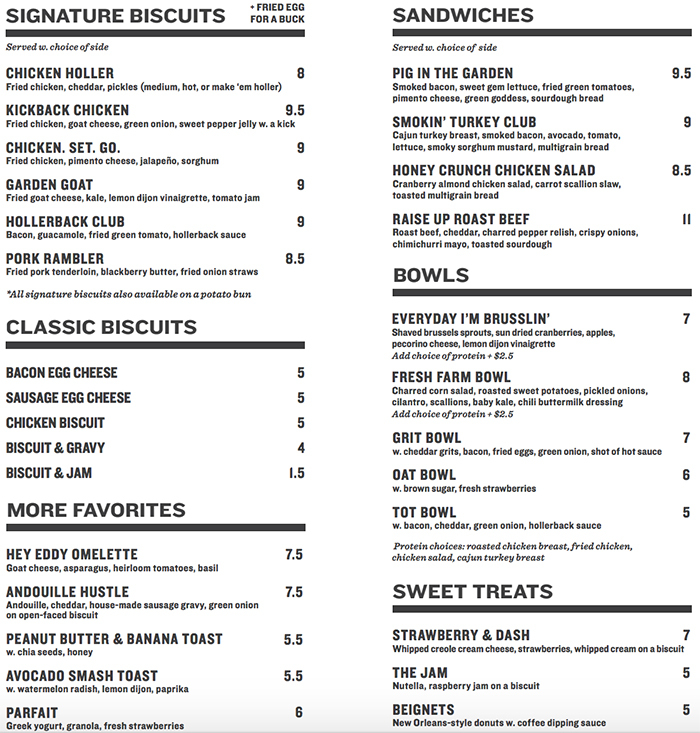 Here’s the menu at South End’s Holler & Dash. 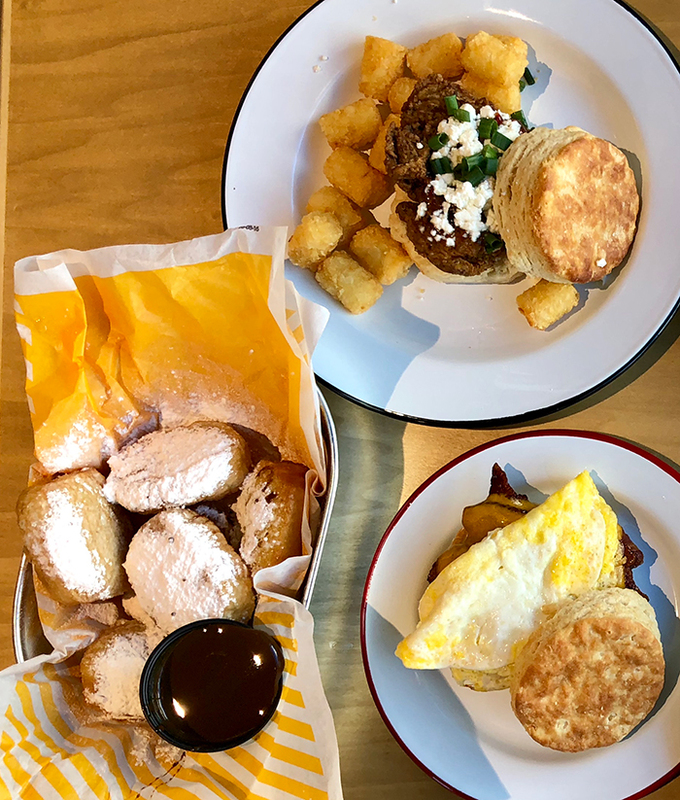 It’s definitely a breakfast-first spot, but they also serve lunch. 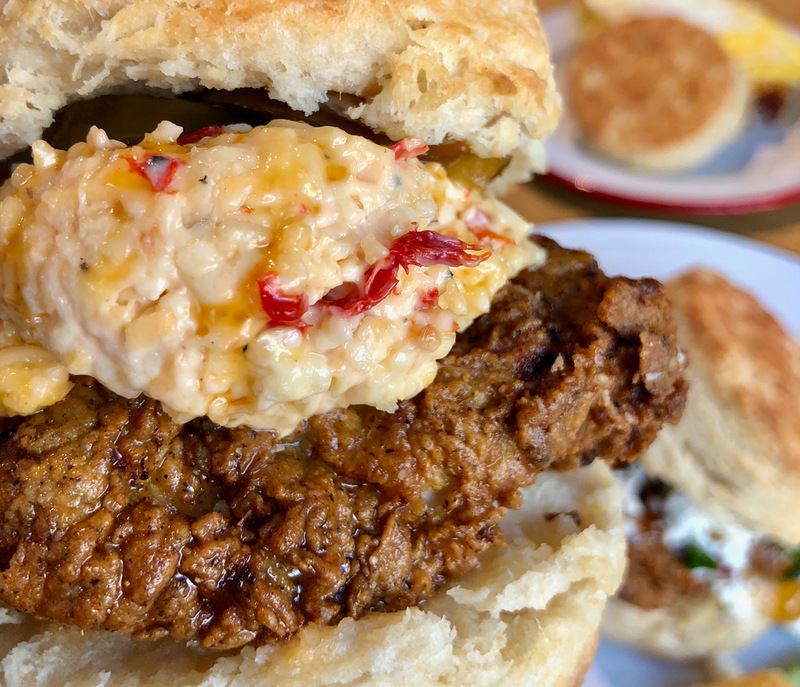 (6) At $9, signature biscuits are pricey, but don’t forget that you get a side as well. 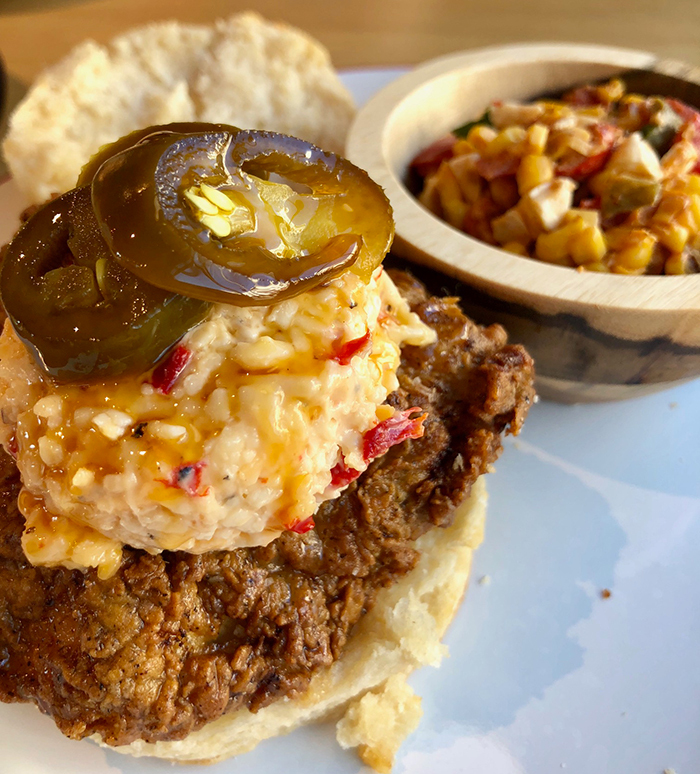 Sides include the following 8 options: Baby potato salad with lemon buttermilk pesto, charred corn salad with mozzarella and lime, roasted sweet potato salad with apple and almond, fried green tomatoes with Hollerback sauce, grist, tots, fresh fruit or a side salad. I can’t blame you if you go with the tots, but I recommend mixing it up. I tried both the baby potato salad and corn salad — tasty. If you’re anti-biscuit, go with the Grit Bowl. (7) Order beignets for the table. These New Orleans-style doughnuts with coffee dipping sauce are only $5 and your friends will love you for making the order.